Park Bottom Bed and Breakfast is situated in the unspoilt hamlet of Litton amidst the beautiful scenery of Littondale - 'the secret Dale', next to Upper Wharfedale, in the heart of the Yorkshire Dales National Park. 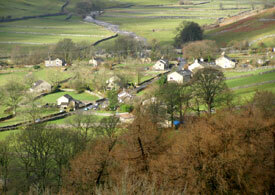 Litton is a peaceful quiet hamlet, with a local village pub, serving real ale and good food. The pace of life is relaxed, people are friendly and the setting could not be prettier. Here you may escape the crowds, lose track of time and enjoy the special charm of the Dales at their very best. Park Bottom makes a great base for an outdoor activity holidays from walking to fishing, rock climbing and cycling. Horton-in-Ribblesdale, the start of the famous Yorkshire Three Peak walk, is just half an hours’ drive away. Beautiful Malham with its Cove and Limestone Pavements are within walking distance. The chocolate box village of Grassington is a picturesque 9 mile drive away, renowned for its festivals including the Dickensian Festival on 3 Saturdays in late November and early December. Tour the beautiful Yorkshire Dales by car, visiting the Dales market towns of Skipton, Settle, Hawes, Richmond and Masham as well as the beauty spots of Bolton Abbey, Fountains Abbey, Ilkley Moor and the Bronte Country. 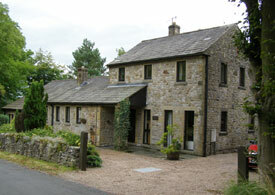 Park Bottom Littondale B&B Accommodation: Guest bedrooms are all en-suite with tea and coffee making facilities. Drying and ironing facilities are also available. All rooms have splendid views of the surrounding fells, and guests are welcome to sit and relax in the library or garden. A full cooked breakfast or homemade alternatives, including a number of vegetarian choices are offered. Evening meals may be obtained in the village at the Queen's Arms Inn. There is ample private car parking and secure bike storage.